How to get WordPress' hooks/actions run sequence? In what order add_action hooks execute? I've also posted my solution. 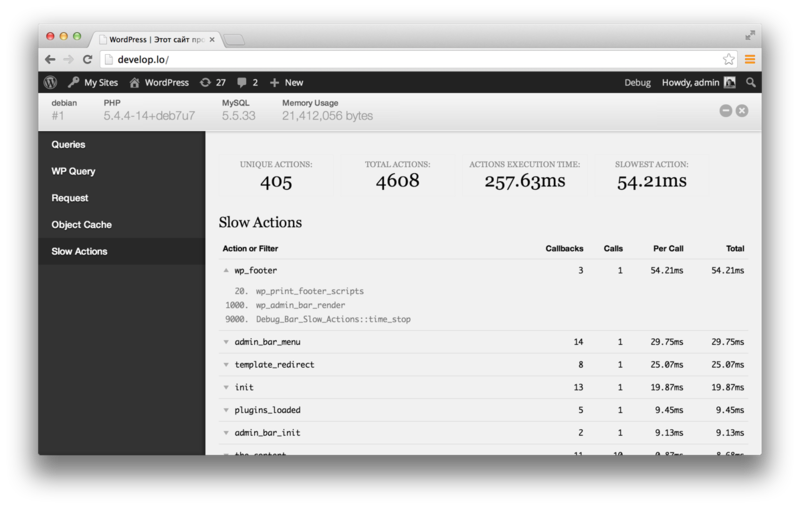 So let's gather some real data from an install with no plugins and the TwentyTwelve theme activated with only a single Text widget. 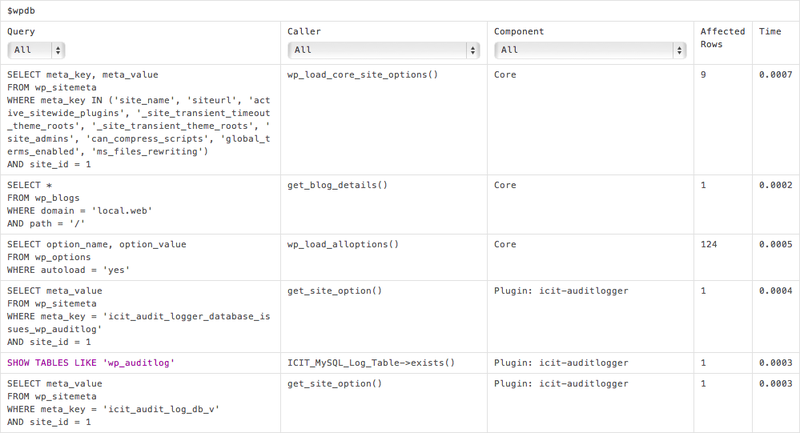 a) debug hooks(actions) run list on your site. Not the answer you're looking for? Browse other questions tagged hooks or ask your own question. How to list the Hooks and order of execution in current loading page? 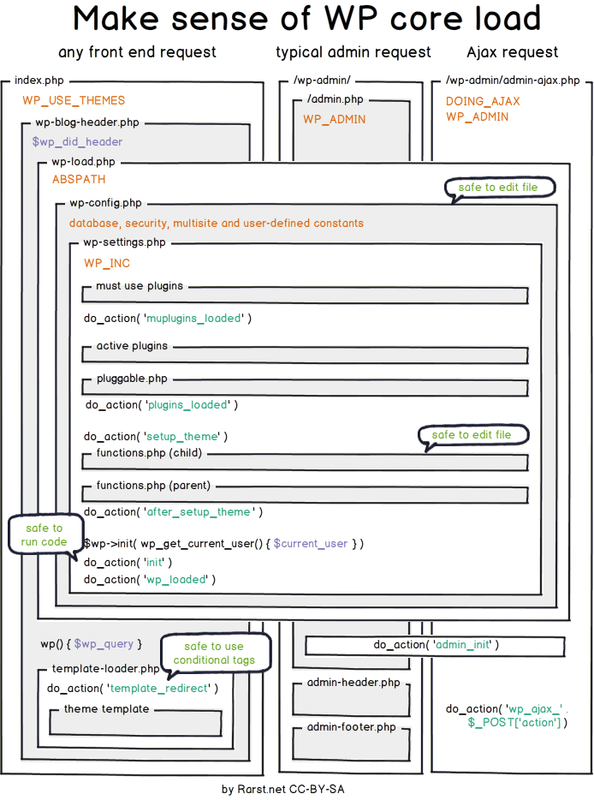 Between functions.php, widgets and plugins, which is loaded first? What is the very earliest action hook you can call? Can wp_script_is used in pluginA check if a script is being enqueued/registered from pluginB? Is there an action like 'after_register_custom_post_type'? How to create a custom taxonomy using a shortcode? How Do I Load My Action Earlier Enough? How do I display only the latest post on my home page, while maintaining proper plugin hooks? How do wordpress hooks respond to user interaction? How wordpress plugin hooks works?